Kabir News Tech Will Planned ‘Google Fiber’ Reduce a Need for Home Internet Service? 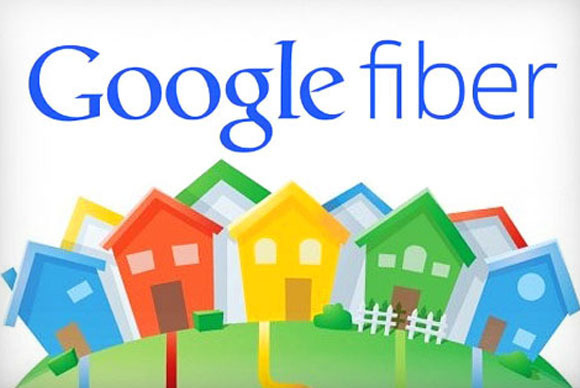 Will Planned ‘Google Fiber’ Reduce a Need for Home Internet Service? There has been a lot of buzz lately about Google’s newest internet and television service known as Google Fiber. It promises internet services that are up to 100 times faster than standard internet connections through all of the other cable services in America. Many people have been clamoring to know when Google Fiber will be coming their way, but the wait will be long as the areas that either have the service or are planned to be getting it soon are sparse. Only Kansas City (both Kansas and Missouri), Olathe, Kansas and Austin, Texas are in the works to have the service outside of Google’s San Francisco area home base. Other cities are bidding to have Google Fiber installed (including Ann Arbor, Michigan and Sarasota, Florida) but there haven’t been any plans to implement Fiber in the future besides the recent announcement that Austin, Texas is next in line to receive a trial of the internet and television service. So what else makes it so enticing besides the 1 gigabyte per second internet speed? Well, affordability is another thing that Fiber can offer to future customers. As it sits right now, there is a free internet service that comes with a $300 construction fee, but that can be spread out in payments over a 12 month span. From there, no more paying for internet unless you want the premium services. For premium internet (which comes with the 1 gigabyte per second speed compared to the 5 megabyte per second free service), it’s only going to run customers $70 each month with no construction fee. Lastly, you can combine both the internet and television service for $120 per month (no construction fee) and it comes with a Nexus 7 Tablet free of charge. However, what makes it so far away in terms of reality is that wireless internet connections aren’t nearly as fast as what Fiber has been advertising, as there haven’t been any commercial Wi-Fi standards that have the capability of handling an internet connection of that speed, not even the best internet provider. So, it could take anywhere from a couple of years to over a decade before we even see the full service used. You may wonder, “what does this mean for other home internet services?” It’s a question that both the public, and other internet and cable companies are pondering as well. Some think that with Google Fiber hitting the market, the other companies won’t be able to compete at such low prices, giving Fiber a potential dominance over the industry. It’s too early to tell just how much Google Fiber will affect internet services as a full nationwide service still appears to be a long way away at the soonest (if even possible at all), but it’s time to start asking the questions. Nichole Knupp is a freelance blogger and marketing professional who writes guest posts and website content for a variety of different blogs and niches that interest her. Her main interests are technology, marketing, blogging, SEO, business and careers.